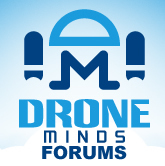 Discussion in 'General Drone Forums' started by Mystery.Shadow, Jan 23, 2019. Or maybe nothing there at all the the UK "sighting"? But, yeah, 3500 feet, GTFO!